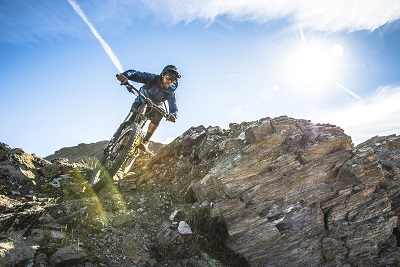 Alaska, one of the most sparsely populated areas in the world with sheer endless mountainous terrain, has always been a dream-riding destination for 28-year-old mountain biker Andrew Taylor. But being over 3,000 miles away from his hometown Santa Cruz, it seemed a bit too far to just jump in the truck and go. However, one day “AT” stumbles across an old school bus for sale - the missing link to make his ultimate road trip come to life. He buys it and turns it over several months into a tailor-made adventure vehicle to take on the epic mission to Alaska and back. 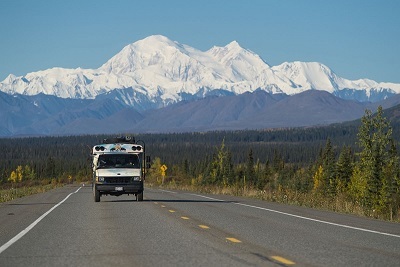 With a few pit stops along the way, AT needs four weeks to reach the Alaskan border where his actual MTB adventure begins. From riding through birch forests 120 miles below the Arctic circle in Fairbanks to shredding down fierce singletrack ridgelines around Healy and heli biking on endless rugged terrain in the back country – Andrew Taylor experiences his thousand-miles-journey through Alaska exactly like he imagined it. Norco join the world of eBikes with their hot looking Sight VLT, check it out.